Description: On this RACE DAY EDITION of SOUND OF SPEED, Sam gets us set up for all the action of Round One of Race #1 of The NASCAR Chase for the Sprint Cup from Chicagoland Speedway this afternoon (Sunday). Sam gives us a brief history of this great track with comments from some of our favourite drivers! Make a note of Sam's picks for this afternoon's race... as HE knows his stuff! Check back with us next WEDNESDAY as Sam will recap ALL the racing action from this weekend! SOUND OF SPEED from Beach BOOSTER Radio ON DEMAND anywhere on any device from our Beach BOOSTER Radio Podcast Page! Please enjoy and SHARE with Race Fans everywhere! 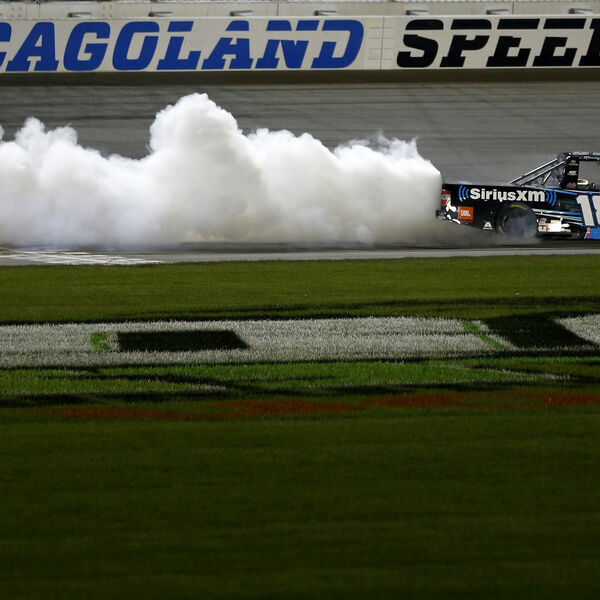 On this RACE DAY EDITION of SOUND OF SPEED, Sam gets us set up for all the action of Round One of Race #1 of The NASCAR Chase for the Sprint Cup from Chicagoland Speedway this afternoon (Sunday). Sam gives us a brief history of this great track with comments from some of our favourite drivers! Make a note of Sam's picks for this afternoon's race... as HE knows his stuff! Check back with us next WEDNESDAY as Sam will recap ALL the racing action from this weekend! SOUND OF SPEED from Beach BOOSTER Radio ON DEMAND anywhere on any device from our Beach BOOSTER Radio Podcast Page! Please enjoy and SHARE with Race Fans everywhere!